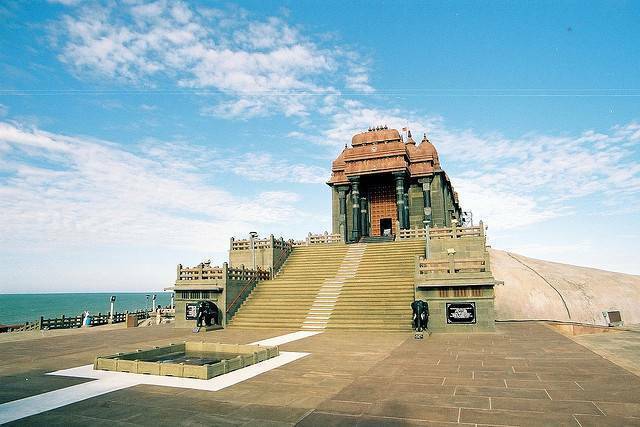 Vivekananda Rock Memorial stands where it is believed that the Swami Vivekananda meditated on this rock, where he sought enlightenment. It is a fort and island off the coast of Kanyakumari. The memorial itself is a giant statue on rocks that form part of the island. From this island, the red disc of the sun can be seen reclining into the Indian Ocean; sunsets are spectacular here. A Ferry ride will take you to the memorial. Usually ticket cost is Rs. 20 but for a costlier ticket you can avoid the queue.